Why is It Important To Prune? When it comes to landscape maintenance, pruning is essential! Even though your trees are going into fall hibernation mode, you still need to take care of them. Did you know that pruning can help the longevity of your trees? It also can provide your yard with a cleaner and more maintained appearance. 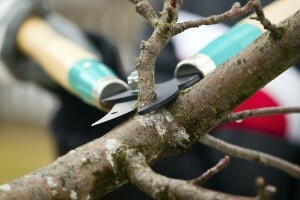 Unfortunately, many homeowners never prune their yards trees or have been doing it wrong. Let’s take a closer look at why tree pruning is essential! In most cases, you should be pruning your trees during the late fall and winter months. This is because in the dormant season, trees are the less likely to be harmed. However, it is important to remember that you can’t treat all trees the same when it comes to pruning. It is important to do your research or contact a professional to ensure that tree branches are removed correctly. If you want the trees in your yard to look their best, pruning can help! It allows you to shape the tree and determine where or how it grows. Tree pruning is a great way to improve the appearance of your landscape. Many homeowners make the mistake of taking off too much of the tree initially. A tree can withstand levels of stress; however, excessive pruning can end up killing the tree. Keep in mind that less is more when it comes to tree pruning and for that reason, your best bet is to take small bits off at a time. Dead tree branches can be a major safety hazard. A tree branch that falls can cause severe injury to a person or animal. However, it is important to realize that tree pruning can be a dangerous job. In some cases, you may need to contact a professional who has the necessary training and expertise. Contact JFK if you ever feel uneasy about your task at hand! Did you know that pruning can be beneficial to a tree’s health? If a tree contains dead or diseased branches, they likely need to be removed. Tree branches could be dying from things like lack of sunlight, pests, or harsh weather conditions. If a person prunes correctly, they can influence how a tree grows. For example, if you don’t want a tree in your backyard overhanging your home, you may be able to prune it back so you can achieve this. Also, tree pruning can help the overall structure of a tree. Tree branches can easily compromise the overall weight distribution of a tree. This entry was posted on Sunday, October 15th, 2017 at 3:30 pm. Both comments and pings are currently closed.